“MOVI is made up of a group of people who are passionate about wine: lawyers, analysts, an asparagus farmer, a marketeer. 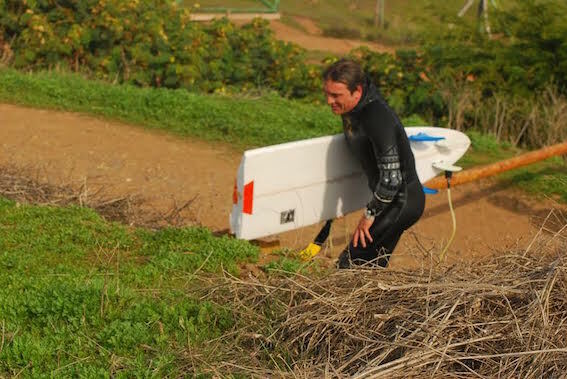 I’m also a surfer,” says Jean-Charles Villard, explaining the concept behind Chile’s Movimiento de Viñateros Independientes or “Independent Vintners Movement,” the specialist wine producers association to which his Casablanca Valley winery belongs. Charlie Villard by Juan Pablo Reyes. Known as Charlie, the Chilean winemaker chases tubes with the same dedication as he produces acclaimed vintages. Earlier this year, renowned US wine critic James Suckling gave Charlie’s Tanagra 2012—a cold-climate Syrah—96 points on the 100-point scale he uses for grading wine (anything above 90 is “outstanding.”) It was the highest recognition for a MOVI wine to date, with his Le Pinot Noir Grand Vin 2013 and 2011 also awarded 95 Suckling Points.